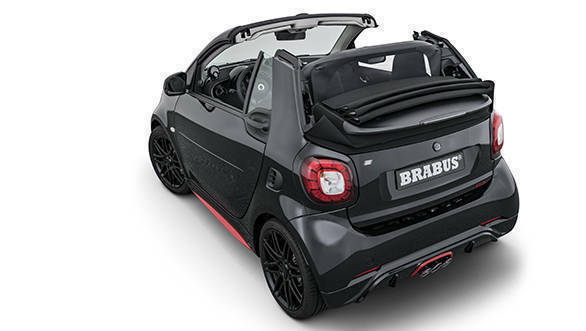 There is little to dislike about the Brabus 125R. Based on the Smart ForTwo compact car, it comes powered by a three-cylinder turbocharged 898cc petrol engine, which produces 125PS and 200Nm. This will take it to a claimed top speed of 175kmph. And it has an open top. Not to forget the mean look it all-black exterior with red highlights. 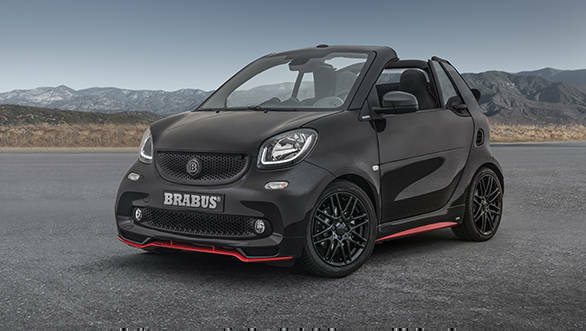 The Brabus 125R is being built in a limited run of 125 units to celebrate the 15th anniversary of Smart Brabus GmbH in 2017. The 125R was unveiled at the company's test track in Bilster Berg, Germany. This exclusivity will come at a price, however, which in this case is 39,000 euros (Rs31.03 lakh approximately). Smart BRABUS GmbH celebrated its 15th anniversary in 2017. 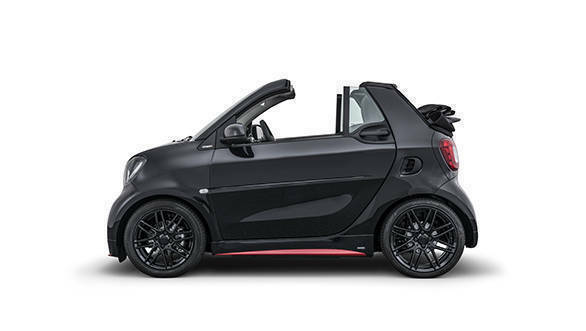 To mark this special occasion, the company developed a club sport version of the current smart fortwo for the racetrack. Not only did the Mercedes-Benz works race drivers have great fun with the sportiest smart fortwo variant of all time on the rollercoaster circuit of the German test track Bilster Berg, but so did representatives of international media outlets as well. The dynamic two-seater had earned its moniker after just a few laps: "Pocket Rocket," as an homage to the most powerful and fastest BRABUS supercars. Ever since the BRABUS ROCKET based on the Mercedes CLS-Class (C 219) set a new world record for street-legal sedans in 2006 with a top speed of 365.7 km/h (227.2 mph), they have been going by this nickname. 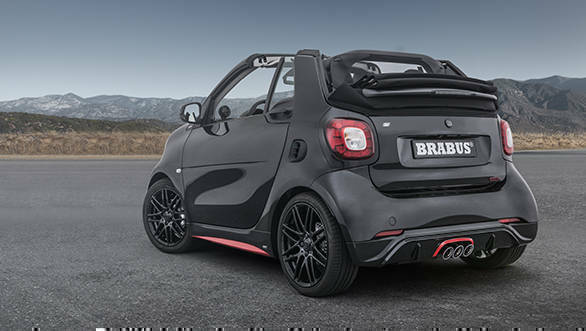 The BRABUS 125R edition limited to 125 vehicles now presents a variant of the track racer that is designed for public roads but delivers nearly the identical driving dynamics. BRABUS 125R emblems on the body and in the interior, where a "1 of 125" badge additionally highlights the exclusivity of this special edition, indicate the noble lineage of this speedster to insiders. A BRABUS black leather interior with precise special quilting and perforation on the seat surfaces, all finished with perfect workmanship in every detail, as well as a host of other exclusive features ensure a special ambience in the cockpit. 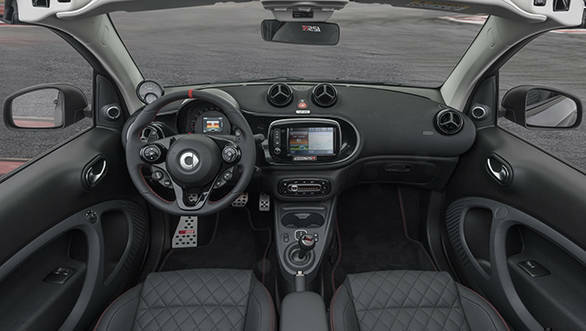 The BRABUS 125R, whose extensive lineup of equipment of course also includes a "1 of 125" limited-edition badge in the cockpit, a climate control system, a sound system and a navigation system, sells for 39,900 euro. All information about this exclusive city sports car is available on the internet at www.brabus125r.com.